The companion volume to the twelve-hour PBS series from the acclaimed filmmaker behind The Civil War, Baseball, and The War. 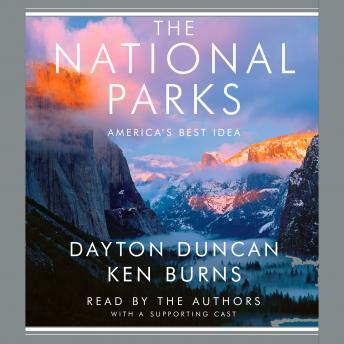 Overall this book was very informative and interesting especially if you have visited many of the National Parks. It was the story of our struggle to protect us from ourselves. That is, to not destroy everything in the interest of self but to preserve those things that are more valuable than the here and now. The main narrator was somewhat over the top pronouncing every single word as if each were a pearl of wisdom from the Mouth of God making it come off a bit too political sounding, dramatic, and wordy. However if Dayton Duncan had done all the narration, as he did so well at the end, it would have been much better.